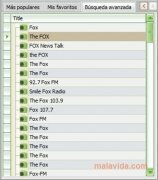 Free TV Radio is an application with which you will be able to see and listen to television channels and radio broadcasts from anywhere in the world on your computer. With Free TV Radio there are no borders, because you will be able to stay informed thanks to the news channels from a full array of countries. In this television and radio via Internet application you will find a full list with TV channels from all over the world, classified by countries. 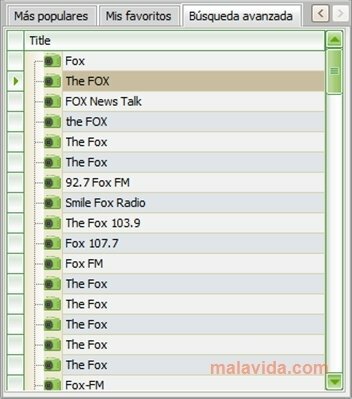 It also allows to perform searches from the program for the channels of your choice. To connection to the television or radio station that you have chosen, you will only have to double click on the name. In very little time you will be able to see the video feed on the Free TV Radio integrated player. The program will allow you to order your favorite channels into a tab. As well as that, you will be able to find the most popular channels on another device. Free TV Radio offers commodity to enjoy any radio or television channel from all over the world without moving from your computer. This download requires that you have Adobe Flash Players installed. The program includes advertising.